Combining both historical and current culture in the quaint local villages, endless nature walks featuring a medley of wildlife and activities suitable for adults, children and families, it’s not surprising that the Cotswolds is a popular choice for a short break. Whether for one, two or three nights, our family friendly self-catering holiday homes are ideally located in the Cotswolds Water Park, the perfect base from which to squeeze in an abundance of activities during your mini break. 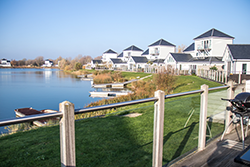 We are pleased to be able to offer flexible arrival dates with many of our properties within the Cotswold Water Park. In addition, our 2-night minimum stay allows for those last minute weekend breaks. You can find out more about water-skiing at Spring Lake in this blog post: Fancy Trying your Hand at Water-skiing? These two charming freshwater lakes are just a short stroll away from Mill Village and are located within the prestigious Lower Mill Estate development. Contemporary designs with floor to ceiling glass allow you to take in and enjoy the stunning lake views. Membership to the onsite Spa is included in your break making this location perfect for a getaway with family or friends. Looking for a quiet, tranquil location? Waters Edge is the perfect retreat. Scandinavian style properties with large open-plan kitchen, dining and lounge areas make these properties ideal for entertaining. 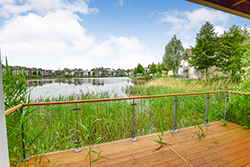 Waters Edge is surrounded by foot and cycle paths – perfect for exploring the countryside and enjoying the fresh air. Isis and Windrush Lakes are ideal for family getaways. 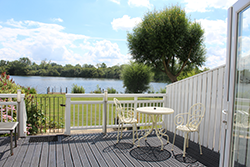 With 2 well-stocked fishing lakes, a large adventure playground on site and 2 all weather tennis courts this gated development is a great location for exploring the local area. As well as short family breaks, the lake is ideal for non-powered boating with your own craft making it a great fishing location. 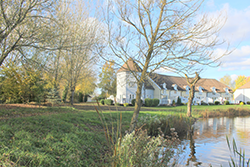 Mill Village is a nature lover’s paradise located in the heart of the Cotswold Water Park. Mill Village forms part of the 550-acre Lower Mill Estate development and enjoys a heated outdoor pool, tennis court and children’s play area. Explore this stunning development on bikes or foot and perhaps you will be lucky to see the resident beavers! If you’re staying in a lakeside lodge so you can get out on the lakes, this lake is the perfect choice for your short break in the Cotswolds. Shared pontoons allow you to easily launch your kayak and explore the lake whenever you like. Whilst the lake isn’t routinely stocked, coarse fishing is available at Summer Lake. Do you fancy a self-catering break with the benefits of a hotel stay? The Watersmeet Apartments may be the perfect answer. Sleeping between 2-4 people these apartments enjoy the onsite facilities which include a gym, hydrotherapy pool, steam room and sauna. The onsite restaurant and Spa* make this a great choice for a short break. 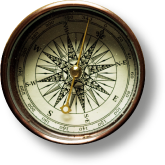 Still Not Sure Where to Take your Cotswold Short Break? To view the properties on any of the lakes and check availability, click the links above. Alternatively, if you’d like to speak to one of our Cotswold experts, why not click on the phone icon found on the bottom right-hand side of our website. We can also be contacted on 01285 861 839 or via email – click here. © Copyright 2018 Orion Holidays Limited.